American Lung Association will present Fight For Air Climb, a 53-floor race and 1,040 steps to the top of the Renaissance Tower in Dallas. When you participate in a Fight For Air Climb, you are stepping up to make a positive impact in the lives of those affected by lung disease. 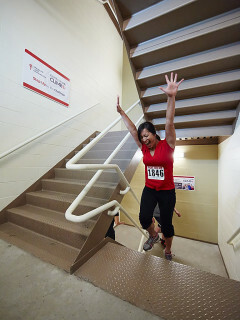 Participants raise funds to support the mission of the American Lung Association while training to climb the stairs of a skyscraper.